Italian heavyweights Juventus could lodge an attempt to re-sign Alvaro Morata from Chelsea during this summer’s transfer window. The Spain international has previously plyed his trade for the Bianconeri between 2014 and 2016, where he scored 27 goals across all competitions. According to Mundo Deportivo, Max Allegri is eyeing a potential reunion with Morata with the Serie A holders looking to reinforce their frontline during the summer. Gonzalo Higuain and Mario Mandzukic – both in their 30s, have been the leading frontmen for the Bianconeri over the past few years, but the club are seemingly on the lookout for a new recruit, considering the latter is being associated with a probable exit. 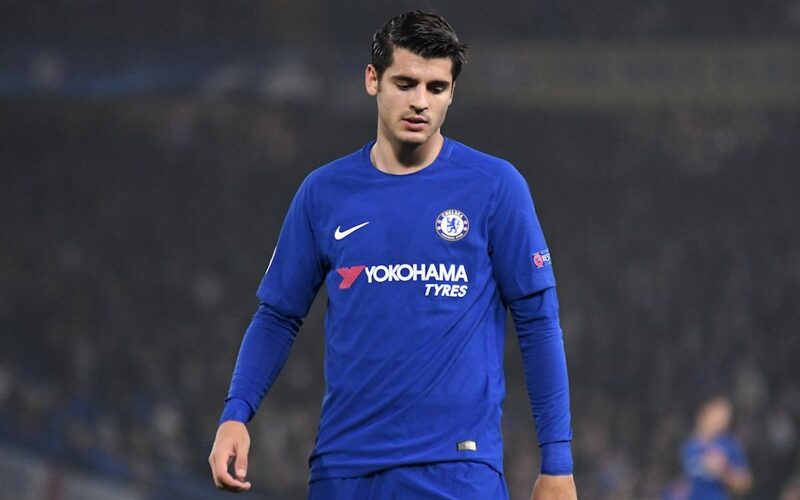 Despite their interest, the move is unlikely to be straightforward with Morata having only joined the Blues, 10 months ago. The Spaniard has not had the best of times with Chelsea with just 14 goals from 41 appearances, but he has still remained a regular under manager Antonio Conte when fit. Meanwhile, Conte’s position at Stamford Bridge is also in tenterhooks prior to the end of the campaign, and Mundo Deportivo claims that Morata’s future at the club could be dependent on whoever takes over the managerial reigns from the Italian. The 25-year-old had gone through a tough start to 2018 after failing to score in 13 straight matches, but he has managed to overcome this unwanted feat of late with goals against the likes of Leicester City and Tottenham Hotspur. Nevertheless, the Blues are far off from competing for a top-four spot after picking up just three wins in 2018. The west London outfit are presently 10 points behind both Liverpool and Tottenham Hotspur, and their chances of qualifying for next season’s Champions League group stage appear bleak, barring a miracle of some sorts. Morata is likely to start his fourth game on the trot when the reigning English champions travel to the south Coast to take on relegation-threatened Southampton in the Premier League. Both teams will once again face-off in the FA Cup semi-final a week later.